As far as complications go, perpetual calendars are typically classically styled, verging on the stuffy, depending on how well they’re done. 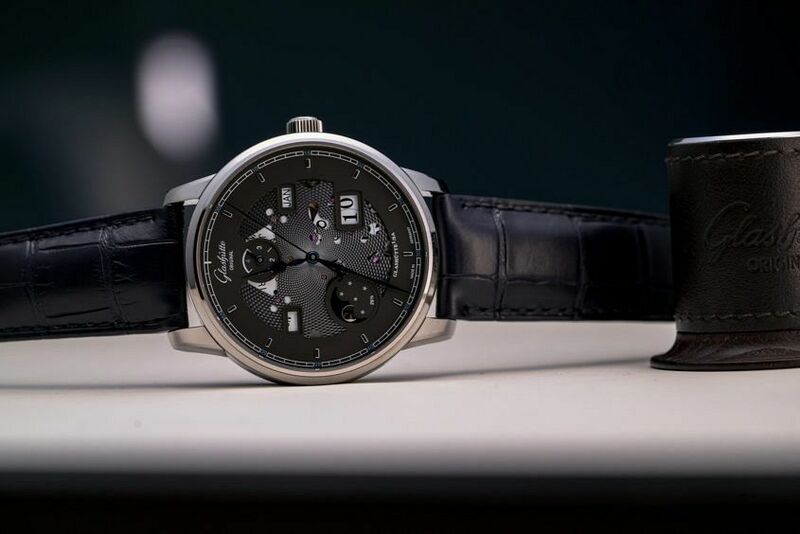 Not that there’s anything fundamentally wrong with this – after all, fine watchmaking thrives on tradition. 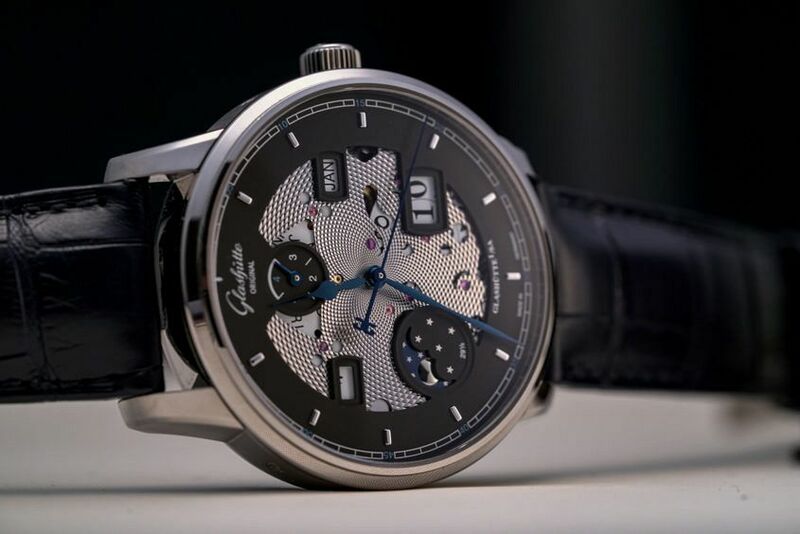 But I can understand the desire to shake things up a little, and throw down some contemporary styles, which is exactly what Glashütte Original have done with this limited edition take on their Senator Excellence PC. 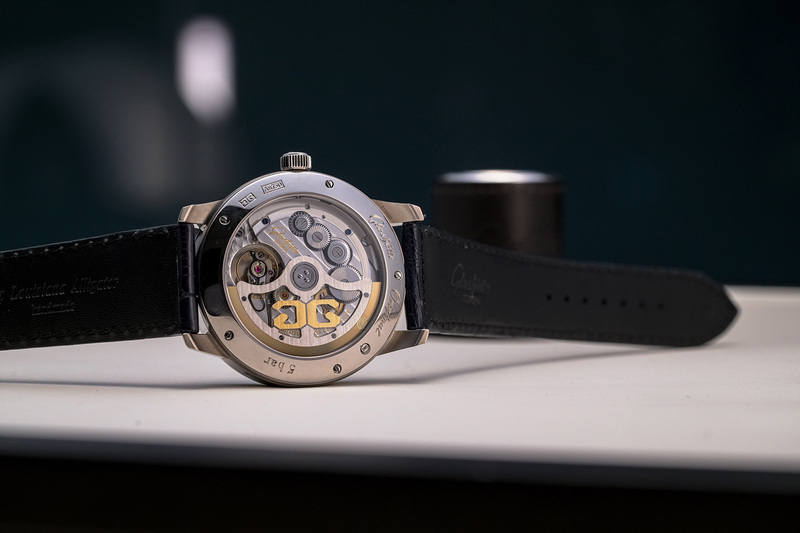 Fundamentally, this watch is the same as the ‘regular’ model, a nicely sized 42mm model, with a big panorama date at four (hence the name), moon at seven, and day/month and leap year indicator across the top of the dial. Where things start spicing up is how the dial (or lack thereof) has been rendered. The centre of the dial is open-worked, letting the finely guilloched mainplate shine through, framed by the matt black section, which frames all the functionality and leaves some space for branding. It’s a cool look, and one that’s in the brand’s wheelhouse, with a look that’s reminiscent of the PanoInverse. You get a hint of the inner workings, with the odd pinion and ruby poking out, but it’s also not fully open-worked and leaves something to the imagination. 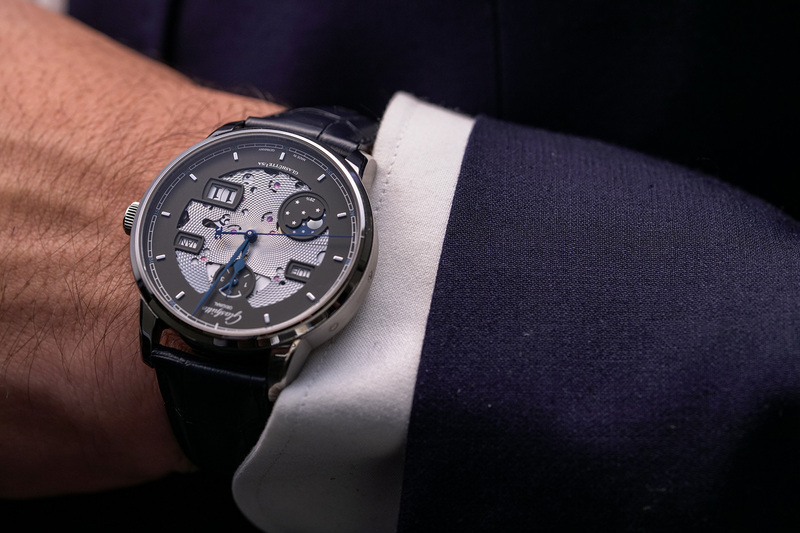 There are two finishing touches on this watch that I really appreciate: the popping heat-blued hands and stealthy white gold case — the regular version is offered only in red gold or steel.